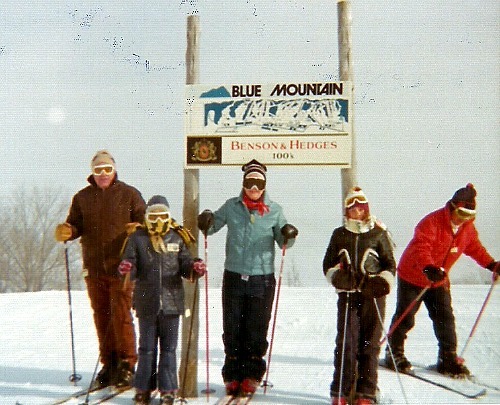 I started skiing at Ontario ski resorts in the 1960s with some neighbourhood boys I went to school with. A parent would drop us off at Chicopee in Kitchener and we would spend all day Saturday there until we were picked up. There was a rope tow and I specifically remember the last guy would yank the rope so I would fall off. All in great fun - I now can laugh. French fries, hot chocolate and lots of outdoor fun!! But I never learned to stop or turn properly there. 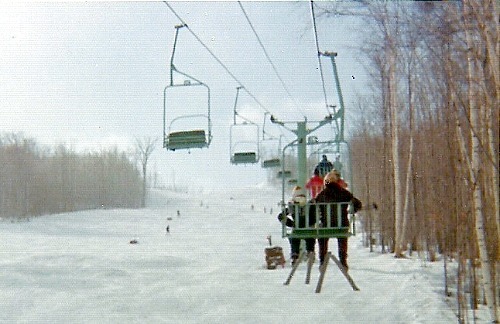 Now jump ahead to the 70s and I am skiing at Blue Mountain. I very quickly learn how to turn and stop as the hills are much more challenging!! My girlfriend and I, and later my future husband would ski from the time the lifts opened until the end of the day. Right up until the last run before they stopped the lifts. I thought I would ski like that forever!! We packed lunches of cheese and cold meat or keibassa nice bread and drink didn't need anything else but maybe a chocolate bar. If you only do it once, pack your lunch and sit with the members and avid skiiers. You get a totally different feel for the Ontario ski resorts than upstairs in the restaurant. The hills themselves haven't changed much. But the addition of high speed chairs, snow boarding parks and mini villages at the base of Blue Mountain makes todays ski hills feel less remote and chalet like. 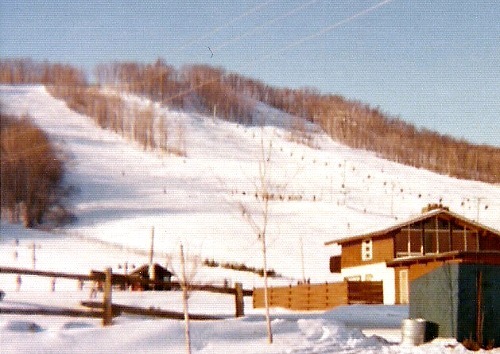 Ontario's ski resorts center around Collingwood, with Blue Mountain as the most popular ski destination. Other hills in the area include Talisman to the west and Mount St. Louis Moonstone to the east. My husband and I skied at Blue Mountain until the kids came along and I met a friend who got us onto using Beaver Valley. A great place for families and that is where my kids learned to ski. It wasn't long and they were skiing past us. Beaver Valley, like Talisman is near Kimberly just west of Blue Mountain and Collingwood. Depending on your skill level Ontario has many ski resorts; from bunny hills to family friendly skiing to somewhat challenging elevations. But lets face it if you want some really challenging skiing you have to go east to Quebec or West to Vancouver. But if you are just looking to get out, and enjoy your snowy winter ski day find a hill near you and get out on the slopes! Return HOME from Ontario Ski Resorts.